Islamic finance just got one step closer to addressing its biggest problem: a lack of qualified bankers and scholars. Today, the UAE’s largest private bank, Mashreq Bank, rolled out the first ever bank-wide Islamic finance e-learning solution at its Islamic banking division, Mashreq Al Islami. Hiring Ethica, the Islamic finance e-learning institute, brings Mashreq 100% online Islamic finance training and certification across their entire network of branches. The move marks a major turning point in an industry heavily bottlenecked by a lack of trained bankers and scholars. To date, banks have had to rely on external consultants to deliver short courses, but today’s announcement makes year-round, bank-wide Islamic banking courses approved by scholars a working reality. Mashreq piloted Ethica with a few hundred users before rolling out bank-wide training. Earlier this year Dow Jones affiliate Zawya.com and New York based Banker’s Academy signed on with Ethica as well. 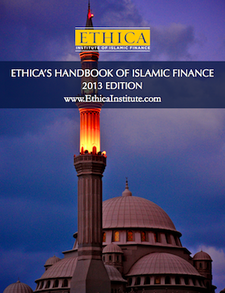 In 2010, Ethica Institute of Islamic Finance (http://www.EthicaInstitute.com) was chosen by more professionals for Islamic finance certification than any other organization in the world. The Dubai-based institute received the award nomination for “Best Islamic Finance Training Institution” in 2009 and 2010 by Islamic Business and Finance Magazine. Mashreq Bank is the largest private bank in the UAE with assets of $25 billion and launched Mashreq Al Islami, their Islamic finance division, in March of this year. For more information about this article, or to schedule an interview with Ethica Institute of Islamic Finance, please call Sameer Hasan at +971-4-305-0782 or e-mail at info@ethicainstitute.com. This entry was posted in Islamic Banks, Training and education and tagged Ethica, Islamic Banking, Islamic finance, Mashreq Bank. Bookmark the permalink.